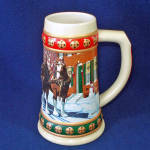 Budweiser has issued commemorative ceramic holiday beer steins every year since 1980. 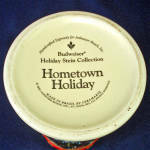 This one is dated 1993, titled Hometown Holiday, signed by the artist Bud Kemper. 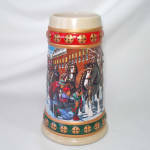 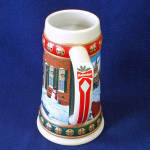 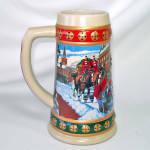 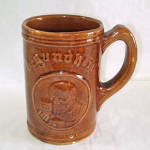 The stein holds 26 ounces and is 7 inches high by 4-1/4" diameter at the base. 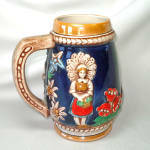 Two are available, both in excellent condition.